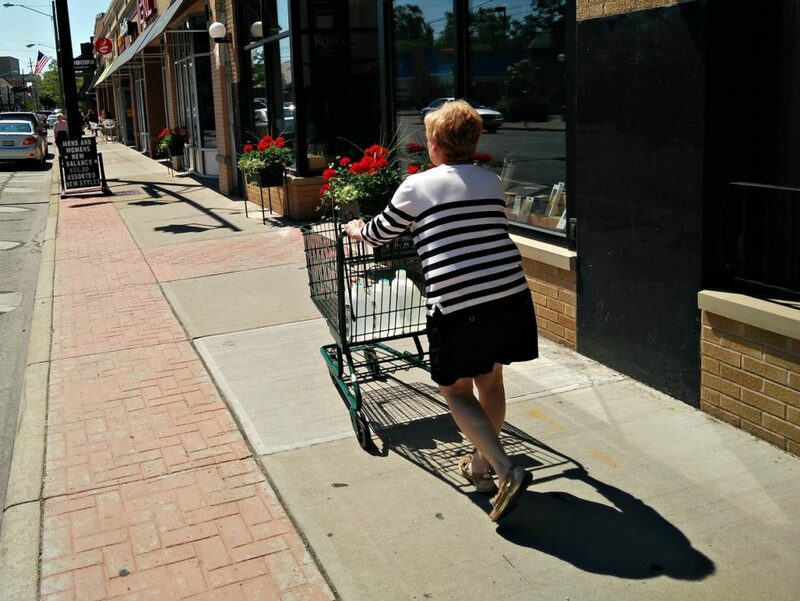 Stroll along Detroit Avenue through Downtown Lakewood these days and you can’t help but notice an additional splash of color and greenery enhancing the district’s vibrancy. 54 flower boxes have been placed throughout the downtown district. 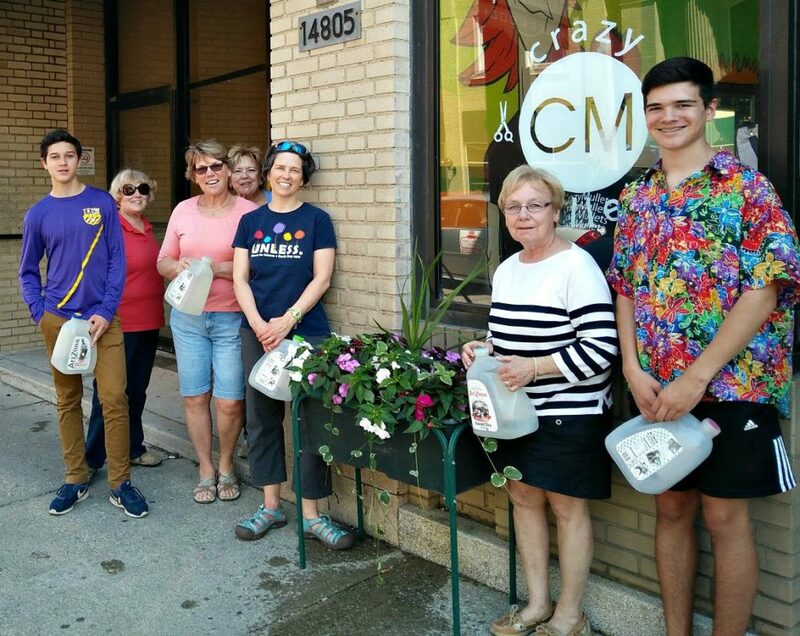 Now in its 11th year, LakewoodAlive’s Blossoms Program has resulted in the addition of 54 flower boxes for 2017 – the most boxes yet – stretching east-to-west along Detroit Avenue from the Westerly Apartments to Cerny Shoes. 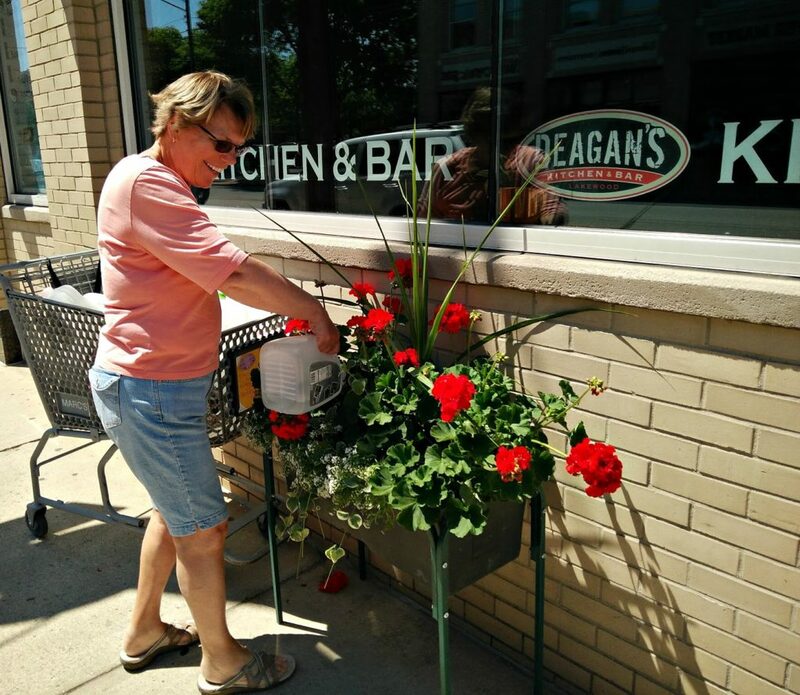 Geraniums and impatiens dot this urban landscape, creating a more appealing commercial district. The Blossoms Program is designed to help Downtown Lakewood merchants make their storefronts more inviting and attractive. 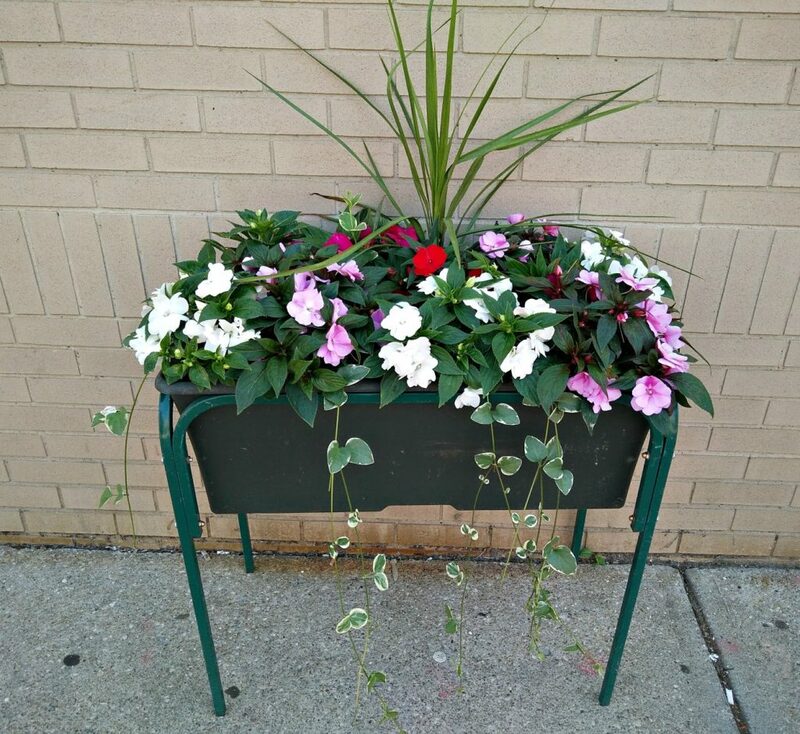 LakewoodAlive partners annually with Lakewood Garden Center to provide an opportunity for merchants to purchase professionally-planted Earth Box planters with flowers appropriate for the sun/shade needs of each location. Volunteer Kathy Haber delivers water jugs to assist with flower box watering. Longtime LakewoodAlive volunteer Kathy Haber – a 38-year resident of Lakewood – has coordinated the Blossoms Program since 2007. What started as hanging baskets that proved difficult to water has evolved into flower boxes featuring built-in water reservoirs significantly reducing watering requirements. With assistance from Lakewood Garden Center owner Paul Bilyk, who coordinates the Blossoms Program with a grower, the materials were dropped off at the Lakewood City Center Plaza on July 2. There, Haber was joined by fellow volunteers to distribute completed flower boxes to program participants. Volunteers water the flower boxes three times per week throughout the summer. For more information regarding the Blossoms Program, visit LakewoodAlive.org or contact the LakewoodAlive office at 216-521-0655.